Flat Roofs - Svaras Roofing Inc. The construction or installation of a new flat roof on your home or business is more than just a good decision, it’s good business. Not only will a new flat roof add aesthetic value to your property, but it will help with heating and cooling costs too. There’s no doubt that a new roof installation can be a pricey choice, but, and this is true, you could actually save money over the lifetime of the roofing. When you add up all of the repair costs and possible damage caused by a potential failure, you see that the once-prohibitive costs of new roofing could be minimal when compared to the negative impacts inherent in pushing an old flat roof past its prime. The flat roofing products and installation techniques of today are a far cry from the traditional methods and materials used for centuries. Modern flat roofs, for the most part, are composed of large factory-made sheets of synthetic materials. These sheets can be produced from EPDM, TPO & PVC, and modified bitumen, and come in a variety of widths to make installation easier. 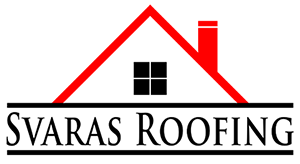 Svaras Roofing Inc. has been installing all types of flat roofs since 1992 and have yet to meet the structure we couldn’t handle. We have the expertise and the resources to ensure your new flat roof is everything it’s advertised to be, so make sure you get the best quality workmanship and finest products available. The sheets of material used to cover a flat roof are known as membranes. They serve one primary purpose --waterproofing. These materials, when properly installed by the experts at Svaras Roofing Inc, help in the removal of water and snow from your flat roof through their slope and direct that runoff to the appropriate area for drainage. Without the proper installation techniques, flat roofing can cause as many problems as it solves. This has led to flat roofing having a less-than-stellar reputation among homeowners and property owners across the Chicagoland area. When properly installed, flat roofing is among the finest roofing you’ll find anywhere. We’ve installed thousands of square feet of flat roofing across the Chicagoland area and we know exactly how to get the results you’re looking for. We offer a satisfaction guarantee on everything we do, so your new flat roof installation is absolutely worry-free. Svaras Roofing Inc. has more than 25 years of experience applying Built-Up Roofing Systems (BUR) to flat-roofed properties. BURs are also known as “tar & gravel” roofs due to the fact they are made up of layered felts, fabrics, or mats saturated with bitumen, asphalt, or good old-fashioned tar pitch. Gravel is applied to the surface of most BURs as a mineral cap sheet, basically a weatherproof protective coating for the bitumen and underlying layers, that protects the application from wear and tear. BURs are one of the oldest methods for covering low-slope roofs still in use today. One of the roofing solutions business owners have been increasingly looking to for the last decade, to save both time and money, is Cool Roof Coating Systems. There are a great many types of roof coatings including silicone, butyl rubber, hypalons, neoprenes, acrylics, polyurethane elastomers, and modified asphalts. While every roof is different, and certain situations may call for specific products, Svaras Roofing Inc. has the experience and expertise to know the best recommendation for every flat roofing scenario. We work directly with some of the nation’s biggest coating manufacturers and are approved to apply their products and issue their warranties. For cool roof coatings, there’s no one better than Svaras Roofing Inc.
EPDM (Ethylene Propylene Diene Terpolymer) is an amazingly durable synthetic roofing membrane used worldwide in low-slope structures. The two main ingredients are ethylene and propylene which are substances created from oil and natural gas. We can install your EPDM flat roofing by mechanically attaching it, adhering it fully, or ballasting it with all the seams sealed with adhesives or specially-formulated tape. EPDM roofing is extremely resistant to general weathering such as wind, hail, snow, rain, and temperature fluctuations and even offers some protection from the effects of fire. Modified bitumen roofing is composed of asphalt and usually reinforced with either polyester or fiberglass making them a blend of the traditional and the modern. The process involves the use of two separate polymers, Styrene Butadiene Styrene (SBS) or Atactic Polypropylene (APP), that modify the membrane giving it greater elasticity and temperature flexibility across a much greater range. As fiberglass is used to fortify the entire system, there is much greater strength and puncture-resistance. Svaras Roofing Inc. installs modified bitumen flat roofing in various layers to increase the protection it offers from temperature fluctuations, wind uplift, and water damage.